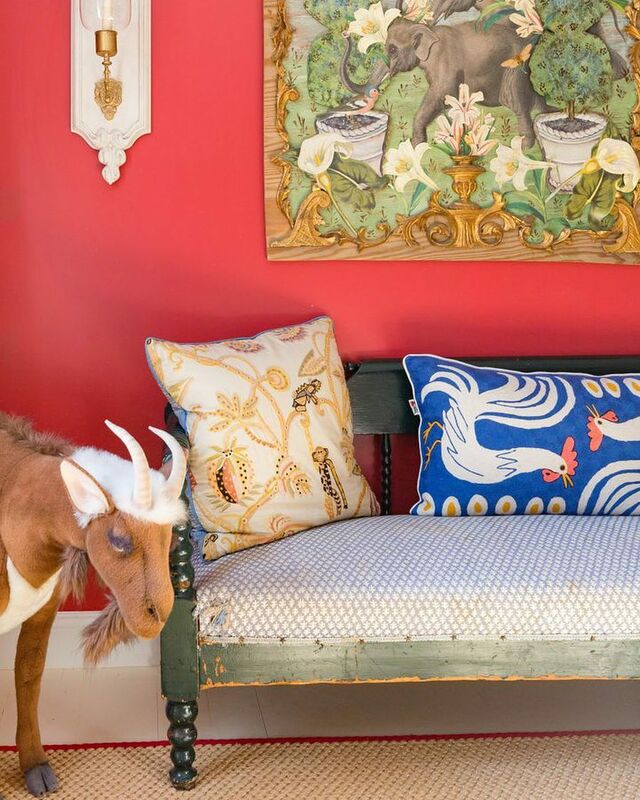 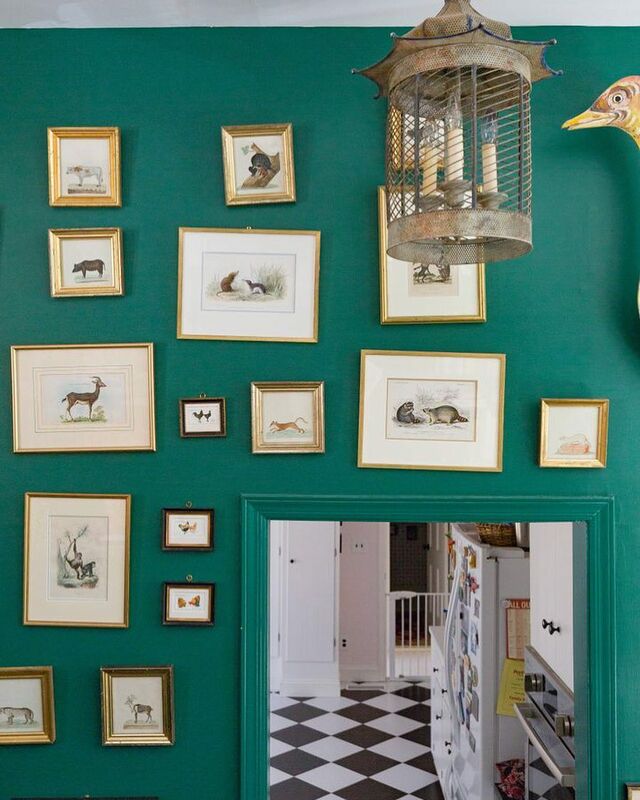 Design with color at it's best with green painted walls and animal prints on the wall. 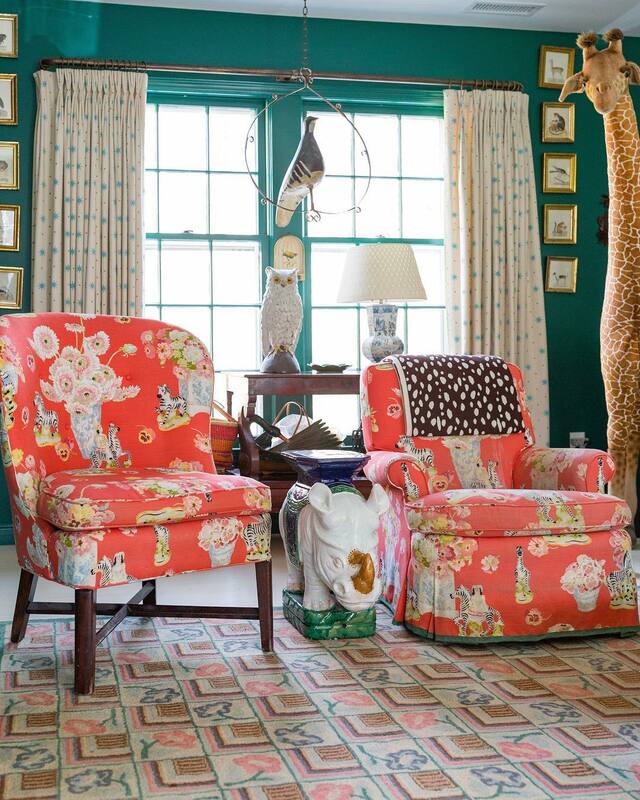 Living room in a green and coral color scheme with an animal motif. 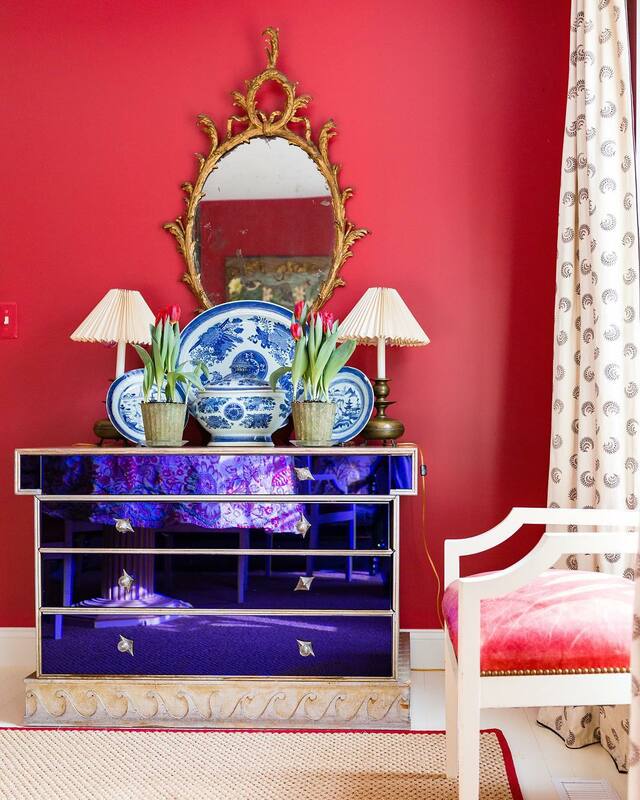 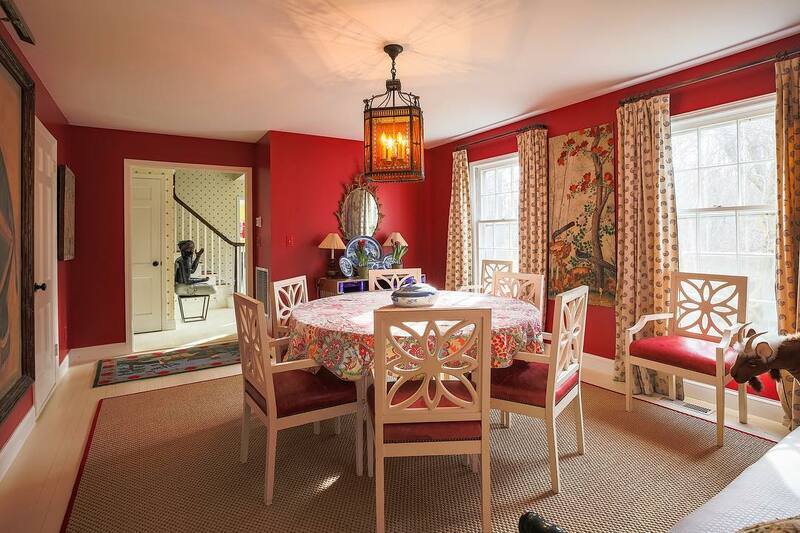 Traditional red dining room color scheme. 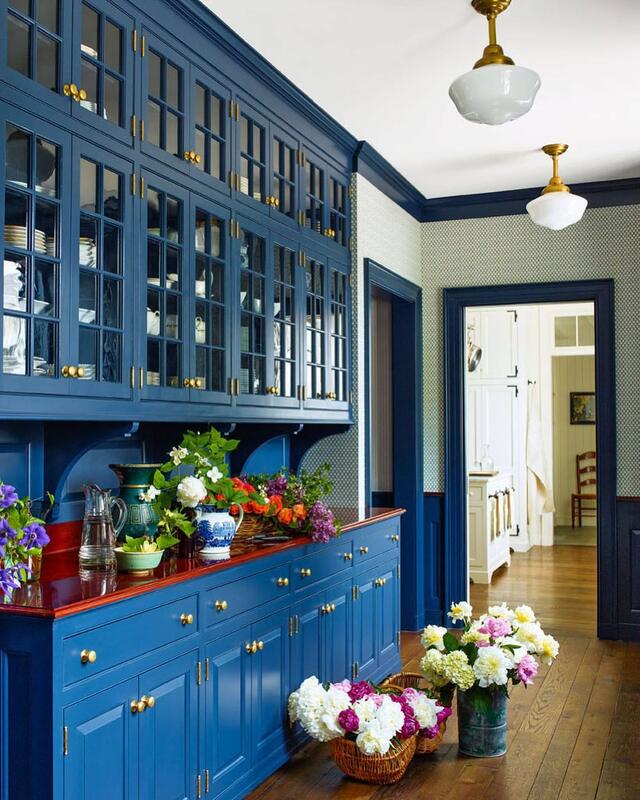 A butler’s pantry with glass upper cabinets which are wonderful for displaying clients collection in a blue color scheme.